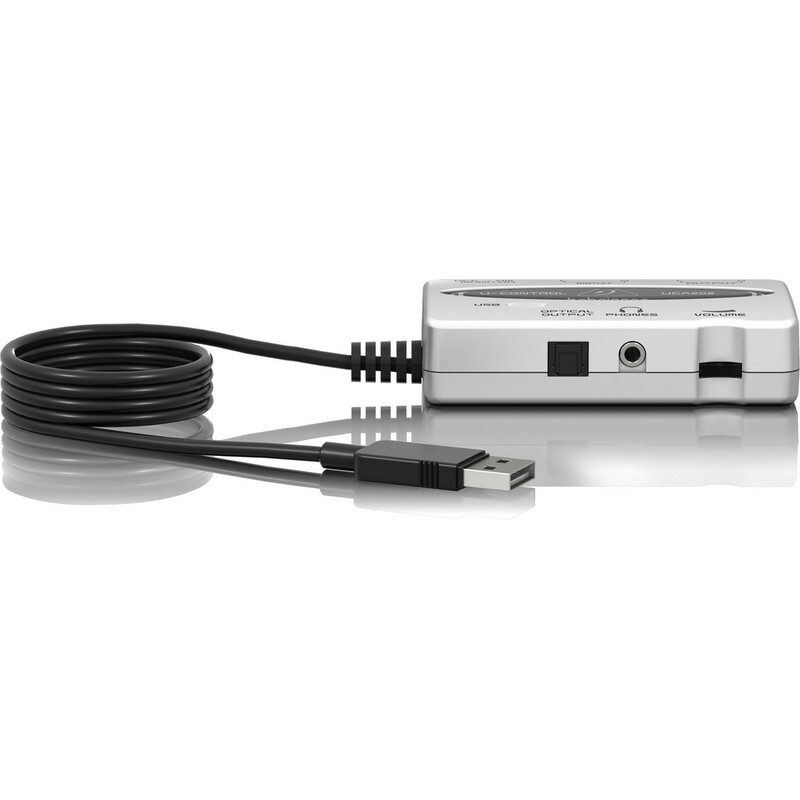 The Behringer UCA202 allows you to connect instruments and other audio devices to your computer, seamlessly merging the analog and digital worlds. 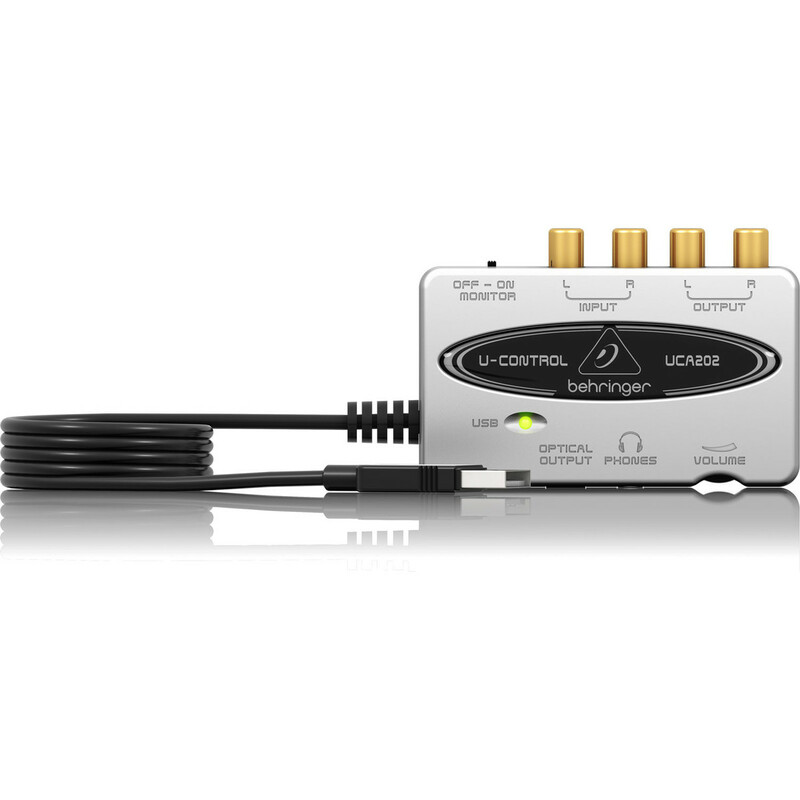 The UCA202 features two analog mono inputs and outputs (ideal for monitoring), USB connectivity and an additional S/PDIF optical output. 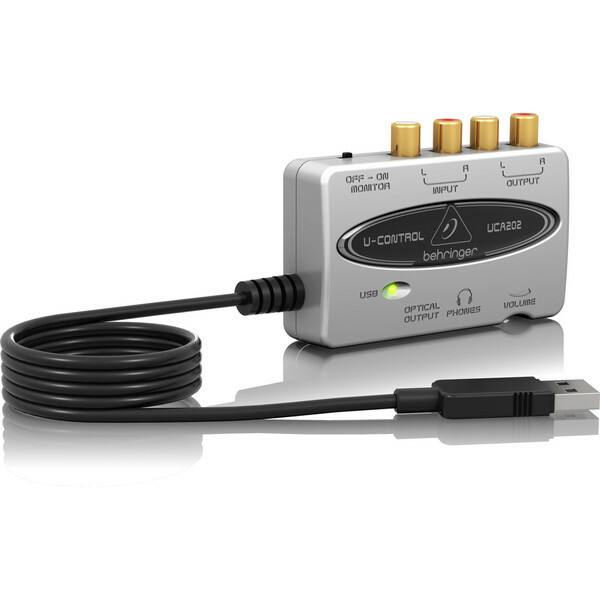 Complete with a stereo headphone output with a dedicated level control, the UCA202 provides you with the ability to listen to both the inputs and outputs. 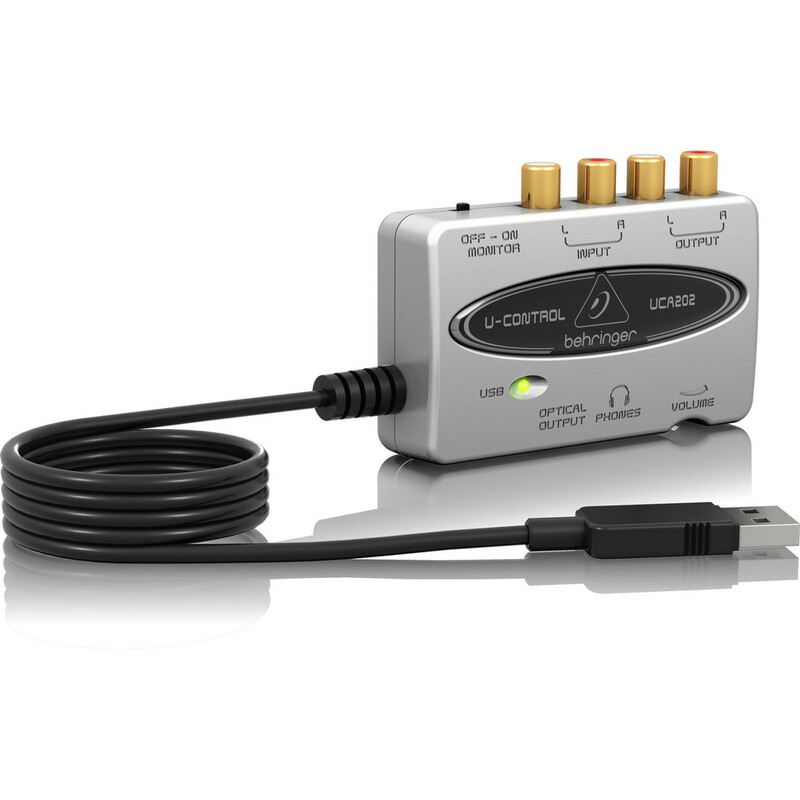 This Behringer audio interface comes complete with all the software you'll need to get started. Tracktion is one of the world's fastest and easiest Digital Audio Workstations (DAW), designed for composing, recording, editing, mixing and sharing your music with the world. Featuring a single-screen interface and pushing the envelope in design elegance, Tracktion combines professional DAW functions such as dynamic automation, MIDI recording, unlimited track count and support for both VST and AU plug-ins. As Behringers way of saying ''Thank You'', when you register your UCA202 on the Behringer website, you'll receive a complimentary download code for the full version of Tracktion. Recording, editing and sharing your music couldn't be any easier. To learn more about Tracktion, visit their website here.